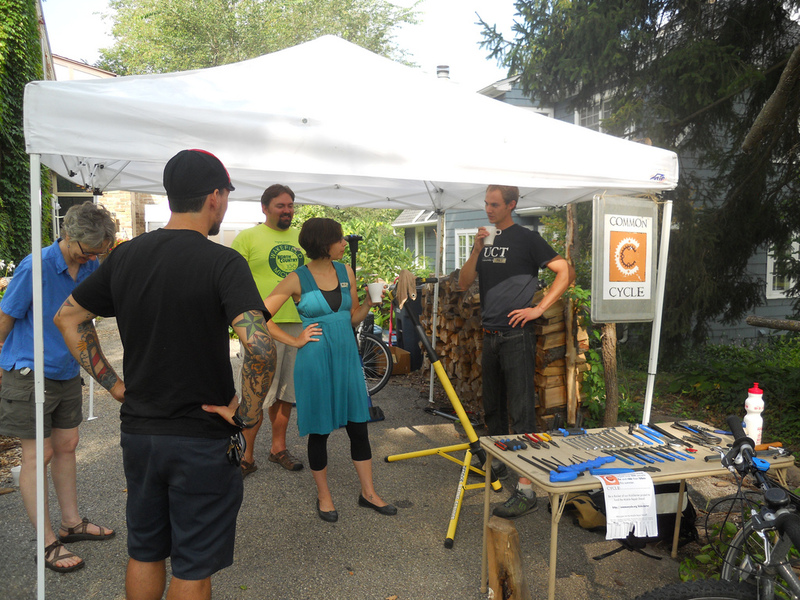 Last Friday morning we set up the Mobile Repair Stand at Friday Mornings @ SELMA, Ann Arbor’s “local foods breakfast salon.” It was an unusually quiet day at SELMA, but we still fixed a handful of bikes and met some great new people. There seems to be a lot of local foodie/bicycle enthusiast crossover around, which isn’t surprising. Here we are, standing around drinking coffee and admiring how beautifully Jimmy set up the tools. We had a great time and we’re hoping to continue setting up at SELMA on a monthly basis through the fall. Previous Previous post: Common Cycle in the News!